There are ‘unique’ foods and herbs from Mother Nature that are so nutritionally complete and potent, they are referred to as Super foods, These vital foods are highly recommended for your healthy diet. You can get a consistent daily dosage of all top 12 Super foods daily from each serving of Vital Nutrition Plus. 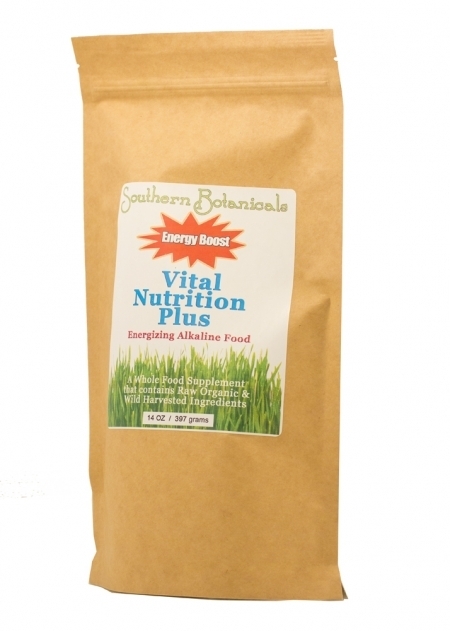 Nutrient-dense, packed full of vitamins, minerals, amino acids, enzymes, trace minerals and trace nutrients in a totally bioavailable form. 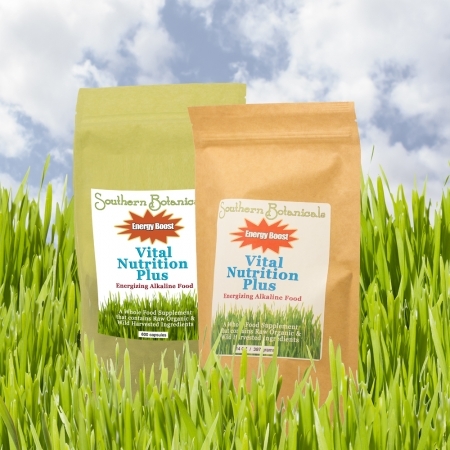 Vital Nutrition Plus has NO animal products. 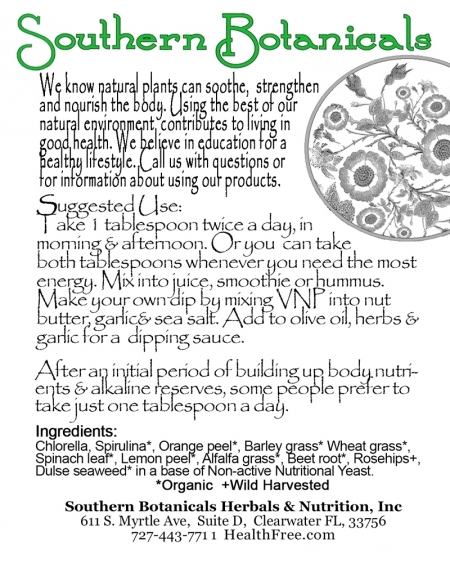 – it contains only natural and organic plant-based ingredients. The herbs and vegetables have not been heated and are carefully dried with a special low-temperature process that ensures no enzymes are destroyed. Our Vital Nutrition Plus floods your body with natural vitamins, minerals, and nutrients, and our bodies work better when the blood is carrying adequate amounts of high quality nutrients. That’s why Vital Nutrition Plus is the perfect compliment to your health program. You will find Vital Nutrition Plus is an essential addition to any Cleanse program or diet change as it helps to keep your energy high and reduces cravings to enable you to complete your programs successfully. 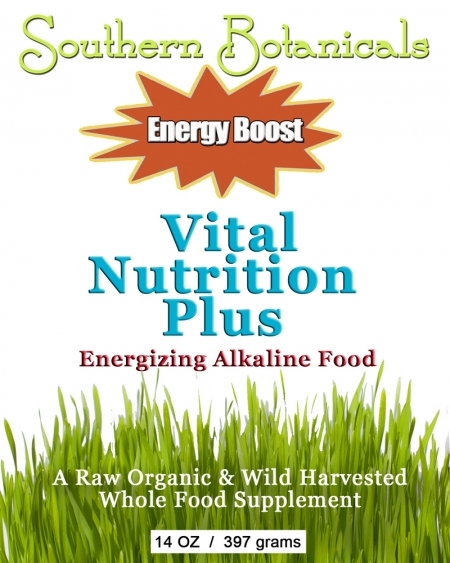 The Superfoods in Vital Nutrition Plus are some of the most alkalizing foods and vegetables on earth. The human blood needs a slightly alkaline pH (around around 7.2 ) for optimal health as it carries nutrients to all cells in the body. Vital Nutrition Plus is one of the easiest and most effective ways to build alkaline reserves to balance your body pH despite the influence of acid-forming processed foods, pollution and stress.